While there are many sub-sectors of the technology industry you can pursue as an MBA, two of the main categories are software and hardware. Software firms represent a larger portion of the market, as the number of job offers outnumber those in hardware by almost 3x – but there’s plenty of opportunity with hardware giants like Apple and Intel. MBA grads are flocking to tech jobs that are dynamic, challenging, and present an opportunity to lead innovative projects. Though these jobs don’t promise salaries as high as some other industries; schools such as Harvard and Stanford reported shifts in post-grad jobs away from finance and into technology between 2011 and 2015. The Financial Times believes these shifts are a result of MBA grads seeking better work-life balance and company culture. The average salary of an MBA graduate in the hardware industry is $119,297 (68th percentile), only slightly less than an MBA graduate in the software industry can expect. The total compensation package is also in the 68th percentile, at an annualized rate of $180,534. While the salary for MBA graduates in this industry is lower than some related fields, employees can expect a robust bonus package. The average signing bonus of $21,775 ranks in the 77th percentile, and the sum of all compensation above base salary is in the 83rd percentile. Just as The Financial Times theorizes, MBA graduates in the hardware industry balance out lower salaries with increased work-life balance. At 53 hours, the amount an MBA graduate can expect to work in this industry is pretty standard. However the percent of time spent traveling checks in at just 8%, which is about ⅓ of THE rate other MBA graduates can expect. While the average is quite low, some exceptions – such as Apple – reported travel as high as 30%. MBA graduates interested in the hardware industry should book their tickets on a westbound plane, train, or automobile; San Francisco and Seattle are meccas for these jobs. To see compensation and hours data for this industry and how it stacks up against other top industries, just sign up for free here and explore our intuitive dashboards, representing data from almost 4,000 top employers. In addition to favorable work-life balance, MBA graduates working in the hardware industry reported above-average satisfaction scores. While the average happiness score for all MBA grads is 6.9, hardware employees revealed a score of 7.4 out of 10. Scores for impact of work, recommendation, and culture were also all above average. Despite the assumption that technology firms have innovative and enjoyable cultures, some firms did not receive high marks from their employees. For example, Samsung employees reported an average culture score of a measly 2 out of 10. Perhaps Samsung could take some pointers from Dell, whose employees rated company culture at 9 out of 10. MBA interns in the hardware industry, eager to innovate, were left hungry for more influence and reported an average impact of work score of 5.6 out of 10. Despite reporting below average compensation and satisfaction, 73% of intern positions transitioned into full time role. The 250,000+ data points in our TransparentCareer database show that internships account for approximately 58% of all positions in the industry – perhaps indicating that not all interns at these firms receive full-time offers. Hiring cycles in technology firms can vary from traditional patterns as new opportunities, departments, and projects arise. While some firms have more structured hiring practices, others hire just-in-time. Internship offers peaked highest in March, with other spikes in both June and September. Full time offer timing also varies, with the highest peak in August (most likely summer intern offerees) with additional spikes in October and February. The hardware sector of the technology industry is yet another field dominated (at least in representation) by men. Males account for 75% of MBA hardware employees, and similar ratios are seen in the software sector as well. Women may account for a small force in the industry, but they carry a mighty presence. Unlike some other industries, female MBAs actually brought in higher starting salaries than their male counterparts. Although base starting salaries between the two groups are nearly identical ($120,000 for women and $119,000 for men), women reported higher bonuses. The average signing bonus for women was $29,000 while men reported $19,000. Though the female population of MBA graduate jobs in technology is small, companies increasingly recognize the value of a diverse workplace. Engineers and developers are the only people who can work in the technology and hardware field, right? Actually, that’s not true. There are a wide variety of functions included in our database of nearly 5,000 employers and 200+ graduate programs. Within the hardware industry there is a near even spread across many different functional areas, with a few popular functions at the forefront. The assistant dean of MBA career management at Berkeley has witnessed strong demand and availability in functions and positions in product management. He also reported that students were interested in functions such as business development, and job availability was moderate. Honorable mentions for functions with moderate demand include finance, HR, and sales. 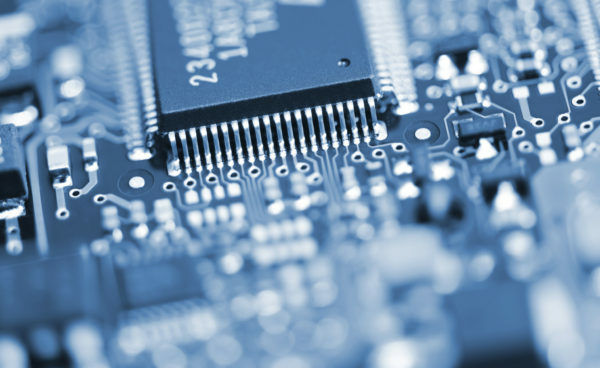 MBA graduate positions in the hardware industry are as varied as the functions they represent. Management positions are necessary for all functions within these firms, and the Accelerated Leadership Program at Intel is a popular choice amongst MBA graduates. The program consists of 3 rotational rounds, and employees within the program rated their impact of work at 8 out of 10. Apple is an intriguing option if you aren’t afraid to work hard and want to make a difference. Despite the average workweek of 70 hours, employees feel the impact of their work is worth 10 out of 10 points. To discover the right position for you, visit our Career Explorer. Once you’ve decided what function and type of position is perfect for you, it’s time to look for companies that match your criteria. Our database of nearly 5,000 employers is a great source to find employers in the hardware industry. Popular companies for MBA graduate jobs in the hardware industry include many well-known names, such as those listed below. To see a full list of employers who are eager to hire MBAs, visit our Career Explorer. Want to know what hardware companies are looking for in MBA graduates? The assistant dean of MBA career management at Berkeley-Haas has found that cultural fit and passion for the company are highly relevant factors in the hiring process. Since the technology industry can be broad, he also suggests looking into specific sub-sectors. If hardware doesn’t interest you, explore the opportunities in the software industry. He also recommends reflecting on what type of firm you are most interested. Instead of assuming you’ll love to work for the big names, such as Apple or Dell, consider whether you would fit best in a small or large company, a firm that is pre- or post- funding, and the type of workplace environment you would thrive in.